This is the first time in my 2+ years of designing wedding welcome gifts, bridal party gifts and client gifts that I've ever included a handmade garter in any of our curated gift designs. I couldn't be more excited to share with you the news that we've officially teamed up with Juli Smith, owner and founder of the The Garter Girl. 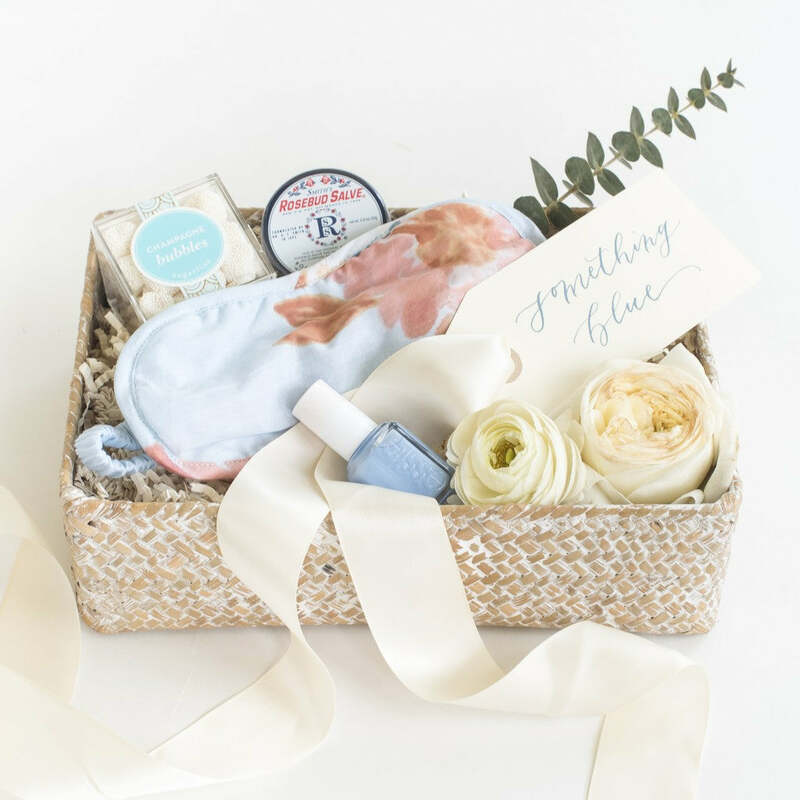 Her website will now be offering our signature Something Blue gift basket as well as our top-selling Bride-to-Be gift box and both are now available with a corresponding handmade garter! Let's start with the Something Blue. Normally featuring Sugarfina champagne gummies, rosebud salve, Essie polish, and a Plum Pretty Sugar eye mask neatly tucked into a seagrass basket with a lid. This gift is finished off with ivory ribbon and a "something blue" calligraphy gift tag. 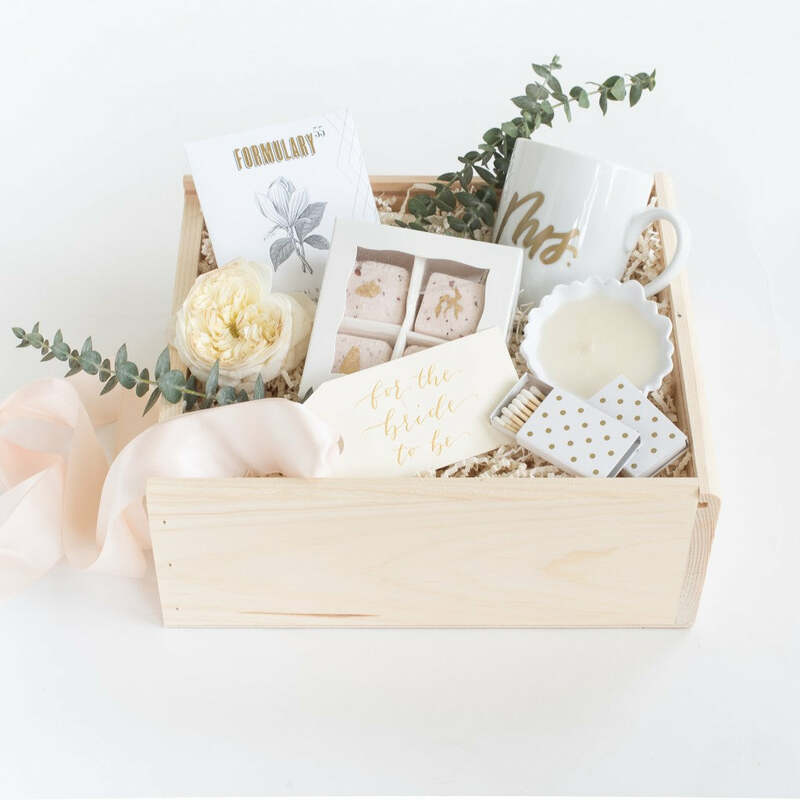 And now onto our signature Bride-to-Be gift box containing a "Mrs" mug, artisan candle, gold foil match boxes, Formulary 55 bath scrub, and rose-scented bath bombs all neatly arranged in a pine box with sliding lid. The Bride-to-Be is finished off with blush ribbon and a "for the bride-to-be" calligraphy gift tag. 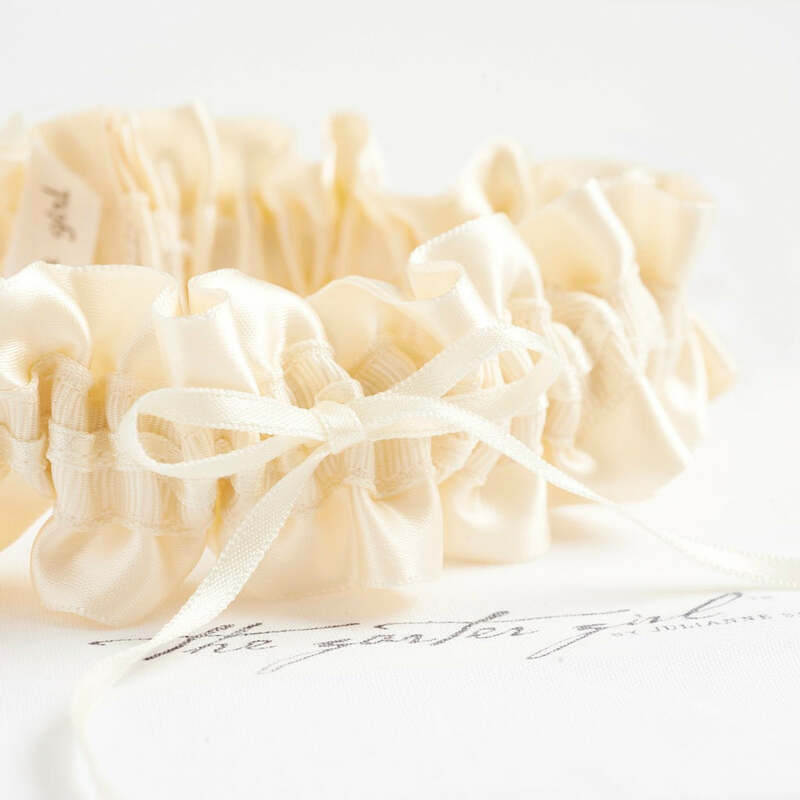 We've long admired The Garter Girl's work and are so honored to partner with her. We'd love to know what you think! Please leave us a comment or reach out by email or phone via our contact page.